PLEASE NOTE: The pool at Healthways Mont Albert is closed as of October 2018 for renovations. It will re-open in January 2019! The rest of the centre is open as normal throughout – no other part of the building is affected. We look forward to showing off our pool again in January 2019! Pool parties are great fun! 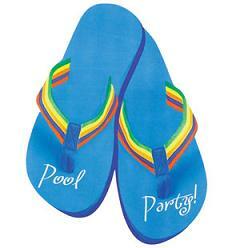 Pool parties are perfect for all seasons – It doesn’t matter what the weather is outside. Both our pools are a warm 32°C year-round. Pool parties can be catered for or you can bring your own food – We can organise party food to be delivered or you can use our facilities to prepare your own food. After your pool party you can go home to a clean house – The fun and food is all handled on-site so before and after your party you don’t have to worry about setting up or cleaning up. 20mins – Food and Farewell. Self catering – Organise your own food. Bring everything with you and take everything home with you at the end. Facilities are available to heat hot food & a bar fridge/freezer is available to store cold food. Catered Food– Sit back, relax and let us do everything for you. *Mont Albert North pool offers both Self-catering and Catered Food options. *Ringwood pool offers Self-catering option only. Minimum age 5 years. 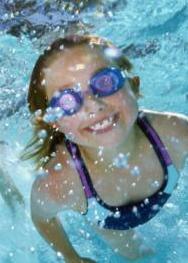 Children younger than 5 are required to have parental assistance in the water. Party bookings can be made anytime throughout the week, subject to prior bookings. Phone or visit reception to check available times. Birthday parties are confirmed by a $55.00 deposit which must be received within seven days of making a tentative booking. The balance of the party is paid on the day. All birthday party costs include invitations which can be collected once the deposit is paid. Final attendance numbers are to be confirmed three days in advance of the party date. 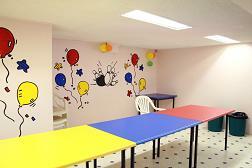 All birthday party costs include the use of the party room for the last half hour of the party. At Mont Albert North: Situated on Level 1 opposite the bowling lanes, the party food is served here. At Ringwood: Situated on the South side of the viewing area, the party food is served here. NOTE: Parties who provide their own food must bring their own plates, cups and cutlery etc. The party room must be left clean and tidy after use, ready for the next party, ie. tables wiped over and the floor swept. A cleaning caddy is provided for your convenience. Phone 9895 2300 (Mont Albert North) or 9879 5777 (Ringwood) to book your Pool Party today! Tenpin Bowling Parties are also available. CLICK HERE for Bowling Party Information.